These one-day workshops are an introduction to, and a reminder of, the Dark Angels philosophy – and the exercises and discussions that make our courses unlike anything else, anywhere. On these days we aim to do two things: familiarise you with your own voice as a writer, which is where it all begins; and get you thinking about the language you use and the stories you tell about your business or brand or organisation. We currently run the workshops in two venues: Strawberry Hill House in Twickenham, London and Tweeddale Court, in the heart of Edinburgh’s literary quarter. It’s important to remember that these Starter Days are only a brief introduction to, and not a substitute for, the longer residential courses. Tutors: Stuart Delves plus one tutor TBD. "We weren't just writing for the sake of it. We weren’t just putting a writing portfolio together for ourselves. We actually learnt skills and did exercises that we could take straight back into the workplace. The day was a brilliant marriage of creative writing for business and in life. A brilliant marriage of people and place. It was inspiring, creative and practical. I met some great people and learnt so much." Historic Tweeddale Court is at the heart of Edinburgh’s Old Town and what is now the vibrant literary quarter. Its carved doorway bears the date 1576. Its then owner, Neil Lang, was Keeper of the Signet, one of Scotland's most senior legal officers, and as a wealthy man he followed the fashion of building his town house down a close, tucked away from the noise and bustle of the High Street. In 1670 the building was bought by the Marquess of Tweeddale, adviser to Charles II, and in 1790 acquired by the British Linen Bank as their headquarters. 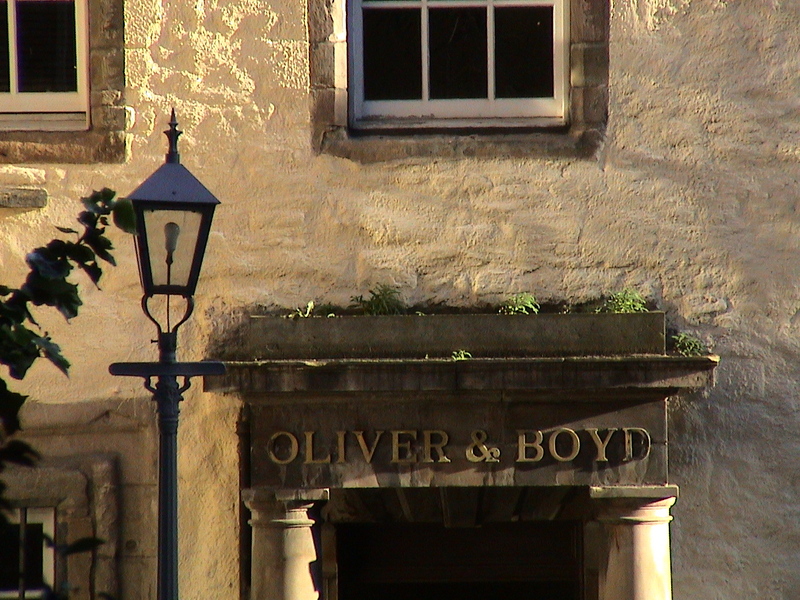 In the early 1800s it was bought by printers and publishers Oliver & Boyd whose name is displayed over the front door. Today Tweeddale Court houses Edinburgh's what's on magazine, The List, along with publishers Canongate. A venue with strong literary associations, it stands a stone’s throw from the Scottish Poetry Library, Scottish Book Trust and the Scottish Storytelling Centre. 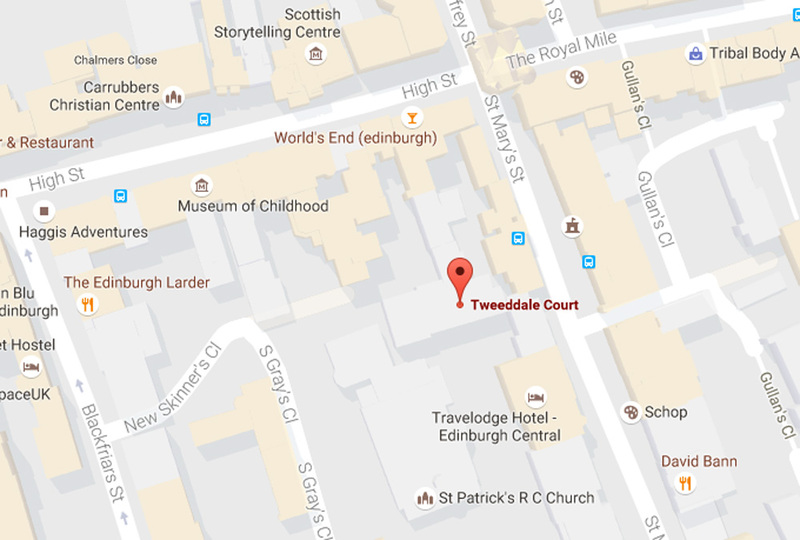 Tweeddale Court is at 14 High Street along Edinburgh's Royal Mile. Look out for the heavily ornamented archway leading off the High Street.